U.S. support goes far beyond the official numbers. April 15, 2017 "Information Clearing House" - "American Conservative"- The American Israel Public Affairs Committee (AIPAC) concluded its annual conference late last month, triggering the usual debate in various alternative media outlets. 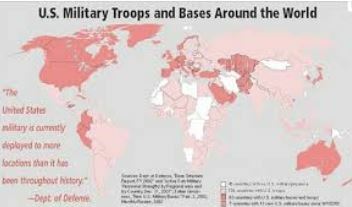 Why does so much U.S. taxpayer money go to a small and not particularly useful client state that has a vibrant European-level economy and is already a regional military colossus? Those who support the cash flow argue that Israel is threatened, most notably by Iran; they claim the assistance, which has been largely but not completely used to buy American-made weapons, is required to maintain a qualitative edge over the country’s potential enemies. Those who oppose the aid would counter that the Iranian threat is largely an Israeli and Saudi Arabian invention, used to justify continued American support for the national-security policies of both countries. And they would add that Tel Aviv is more than able to defend itself and pay for its own military establishment. Since the foundation of the state of Israel in 1948, it has been “the largest cumulative recipient of U.S. foreign assistance since World War II,” according to the Congressional Research Service. The United States has provided Israel with $233.7 billion in adjusted for inflation aid between 1948 through the end of 2012, reports Haaretz. Current discussions center on the Obama administration’s memo of understanding with Israel that promised it $38 billion in military assistance over the next 10 years, a considerable sum but nevertheless a total that is far less than what is actually received annually from the United States Treasury and from other American sources. Senator Lindsey Graham (R-S.C.), speaking in the most recent legislative discussion over Israeli aid, stated that the $38 billion should be regarded as a floor, and that Congress should approve additional funds for Israeli defense as needed. It has, in fact, done so. At its most recent meeting, AIPAC announced the latest windfall from America, applauding “the U.S. House of Representatives for significantly bolstering its support of U.S.-Israel missile defense cooperation in the FY 2017 defense appropriations bill. The House appropriated $600.7 million for U.S.-Israel missile defense programs.” And there is a long history of such special funding for Israeli-connected projects. The Iron Dome missile-defense system was largely funded by the United States, to the tune of more than $1 billion. In the 1980s, the Israeli Lavi jet-fighter development program was funded by Washington, costing $2 billion to the U.S. taxpayer before it was terminated over technical and other problems, part of $5.45 billion in Pentagon funding of various Israeli weapons projects through 2002. The admittedly unreliable former Congressman James Traficant once claimed that “Israel gets $15 billion per year from the American taxpayers.” Indeed, how Israel gets money from the United States is actually quite complex and not very transparent to the American public, going well beyond the check for $3.8 billion handed over at the beginning of the fiscal year on October 1. Even that check, uniquely given to aid recipient Israel as one lump sum on the first day of the year, is manipulated to produce extra revenue. It is normally immediately redeposited with the U.S. Treasury, which then, because it operates on a deficit, borrows the money to pay interest on it as the Israelis draw it down. That interest payment costs the American taxpayer an estimated $100 million more per year. Israel has also been adept at using “loan guarantees,” an issue that may have contributed to the downfall of President George H.W. Bush. The reality is that the loans, totaling $42 billion, are never repaid by Israel, meaning that the United States Treasury picks up the tab on principle and interest, a form of additional assistance. The Bush-era loan amounted to $10 billion. Department of Defense co-production projects, preferential contracting, “scrapping” or “surplusing” of usable equipment that is then turned over to the Israel Defense Forces (IDF), as well as the forward deployment of military hardware to an Israeli-run base in Israel (used to support local military operations), are considerable benefits to Tel Aviv’s bottom line. Much of this assistance is hidden from view. In 1992, AIPAC President James Steiner bragged how he “got almost a billion dollars in other goodies [in negotiations with Secretary of State Jim Baker] that people don’t even know about.” In September 2012, Israel’s former commander-in-chief, Gen. Gabi Ashkenazi, admitted at a conference that between 2009 and 2012 American taxpayers had paid for more of his country’s defense budget than had Israeli taxpayers. Those numbers have been disputed, but the fact remains that a considerable portion of the Israeli military spending comes from the United States. It currently is more than 20 percent of the total $16 billion budget, not counting special appropriations. Through tax exemptions, the U.S. government also subsidizes the coordinated effort to provide additional assistance to Israel. No other lobbying effort to promote the interests of a foreign country benefits in like fashion, and, indeed, most similar groups are required to register under the Foreign Agents Registration Act of 1938, as former National Security Advisor Michael Flynn has learned to his chagrin regarding Turkey. Key U.S. organizations include the American Israel Public Affairs Committee (AIPAC), the American Jewish Committee (AJC), the Zionist Organization of America (ZOA) and the Anti-Defamation League (ADL). Hundreds more, including a small number of evangelical Christian organizations, play a role within a vast ecosystem that demands unconditional U.S. support for Israel. In the year 2012 the nonprofit wing of the Israel lobby raised $3.7 billion in revenue. They are on track to reach $6.3 billion by 2020. Collectively they employed 14,000 and claimed 350,000 volunteers. Some pro-Israel foundations are in-your-face about their goals. The Friends of the Israel Defense Forces, which “Support[s] the wellbeing and education needs of Israel’s brave soldiers,” is a registered tax-exempt charity that conducts fundraisers throughout the United States. Money being fungible, some American Jews have been surprised to learn that the donations that they had presumed were going to what they regard as charitable causes in Israel have instead wound up in expanding the illegal settlements on the West Bank, an objective that they might not support. It was recently reported that Donald Trump’s son-in-law and advisor Jared Kushner has a family foundation that has made donations to Israel, including funding of West Bank settlements, which is illegal under U.S. law. Israel also benefits in other ways, frequently due to legislative action by Congress. It enjoys free and even preferential trade status with the United States and runs a $9 billion trade surplus per annum. 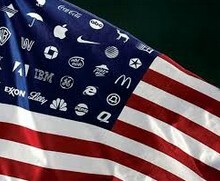 Its companies and parastatal organizations can, without any restrictions, bid on U.S. defense and homeland-security projects—a privilege normally only granted to NATO partners—which has given it dominance in some U.S. law-enforcement, telecommunications, and travel-security sectors. Its involvement in the development and use of classified military technologies developed by U.S. arms producers has sometimes led to claims that Israel has adopted and adapted—or even stolen—proprietary information and then used it to develop its own arms industry, which is now ranked sixth in the world by volume of sales. Ironically, U.S. taxpayers have subsidized an Israeli industry that then competes directly with American companies, producing a loss of jobs in the United States. There has also been considerable collateral damage derived from the relationship with Israel, including the Arab Oil embargo and possibly even some blame for the ruinous cost of Iraq, which many believe to have been fought in part for Israel. But even without that war, the U.S.-Israeli bilateral relationship has been an expensive proposition for Americans. Whether Israel is a strategic liability or not, or whether its complicated geostrategic situation merits virtually unquestioning support from the United States, the reality is that it has a lopsided relationship with Washington. This has long been and continues to be largely paid for by the United States taxpayer, who is not as well off as he once was. The U.S.-Israel relationship is yet another instance where the perceived needs of an American “ally” take precedence over genuine national interests. Tens of billions of dollars need not necessarily be spent to placate a wealthy foreign country and its powerful domestic lobby. Indeed, other options to employ the money closer to home—in the form of schools, highways, and hospitals—may become increasingly attractive to American voters. An Israeli minister has threatened genocide in Lebanon, but where is the outcry? : Bennett’s belligerence in openly threatening genocidal war crimes against Lebanon and its people, is nothing new for Israel, even if it did ratchet-up the rhetoric.